If you are enthusiastic for acting, then walk in and enrol yourself in Aarambh Arts Academy Theatre group’s acting workshop. 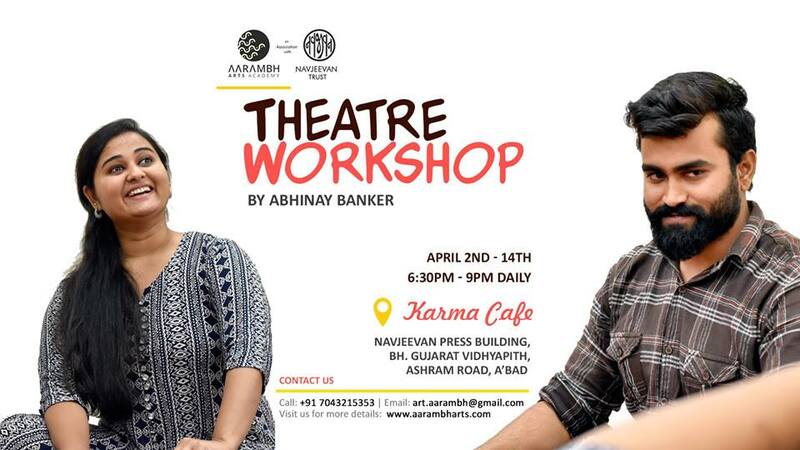 Conducting the workshop will be a well known actor, director and screenwriter Abhinay Banker. Learn the basic tools and techniques of acting, enhance you confidence, know more about performance style and design your characters. Make sure you join in and unleash the actor in you. AT Karma Cafe, Navjeevan Press Building, Behind Gujarat Vidhyapith, Ashram Road, Ahmedabad.